Slots.LV is one of the more established casinos that accept players from the United States, and at the same time it’s one of the sites that managed to get a bigger collection of games together for them. 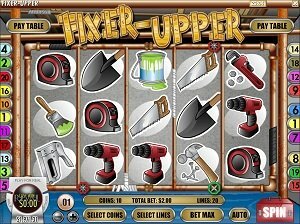 The likes of RTG, Bodog Custom, Rival and Betsoft contribute with their content to Slots.LV, and so the casino has a wide variety of titles, across all major categories. The owner of the casino is Lynton Limited Casinos. They’ve been operating under this brand since 2013. The site is built with two major languages in mind, English and Simplified Chinese. It accepts US players and gives them the option to use Bitcoin or US Dollars while they’re betting on their site. The option to play directly from the browser is available, but so is the choice to download and install software, or even to use a mobile device to access their content. Security is one thing that they seem to care about, with SSL encryption being installed and with their fairness being proven in the past through independent audits. Support is among the things that you will appreciate about this company. You get it 24/7, so at any time that you might need it, and it’s available via email, live chat or toll-free phone. US players don’t have access to content from most developers, but at Slots.LV they can find most of the games that they can play. 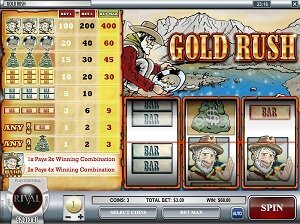 This means that the casino offers content from RTG (Realtime Gaming), Rival Gaming, Betsoft and Bodog Custom. There is more variety in the types of games that are offered here, than at many other US friendly casinos. The slot machine category alone seems to include over 200 games, and they did very well by the video poker and table games as well. As the main categories of their Games section, you have the Slots, Table Games, Video Poker, Specialty, New Games and Exclusives. With a name like Slots.LV, it’s clear where the casino’s focus lies, and indeed you’re going to get about 200 different slot machines here. 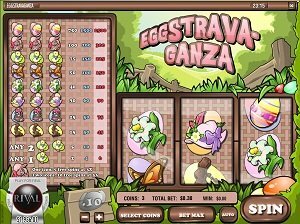 You have them listed based on the number of reels, with 3 or 5, but also as progressive jackpot titles or exclusives to this casino. 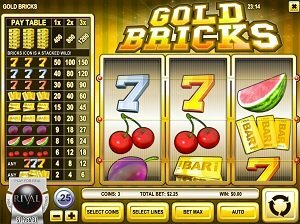 The Exclusive category deserves some attention, since these will be games that you will find only at this casino, or at the other sites owned by this particular company. For their slots, the list includes titles like Reign of Gnomes, Caesar’s Triumph, Bulletproof Babes and about half a dozen others. Two dozen games are accessible in the Table Games section, with casino poker playing a big part here, along with blackjack, roulette, baccarat, craps and several others. It’s also a casino where fans of Video Poker get a lot of options, the site listing 17 games as of right now. I think you will agree that the promotions offered at Slots.LV are quite impressive, particularly those designed with first-time depositors in mind. The new players that are looking to use regular currencies (US dollars), will have a bonus of up to $5,000, matched at 100 to 200% by the casino. The amount is available for your first 9 deposits, with the first one at 200% and $1,000, the rest being worth up to $500 at 100% match. The playthrough requirement is set to 35x for the deposit+bonus amount. Bitcoin users have it even better, as their welcome bonus has a maximum value of $7,500. For them, it’s a 300% match of up to $1,500 for the first deposit, while the next eight ones are matched at 150% and with a top value of $750 each. The same 35x playthrough requirement is implemented. Whether you take advantage of the My Slots Rewards, of their referral system, the Facebook Freebie or the Weekly Double Up, you will have plenty of other promotions to enjoy once you’re in. Players that use US dollars will be able to deposit via money transfers and major Visa debit and credit cards. The withdrawals will be made via check, bank wire transfer, Visa and money transfer. It’s not a system that is easily accessible to most players, but it’s typical for a US friendly casino. Withdrawal times are pretty long though, with an initial pending time of several days. A $2,000 limit is placed on withdrawals and starting from the second one you do that month, you need to pay a $50 fee. The Bitcoin solution seems to be preferred by the management of Slots.LV, and they’re pushing it through better welcome bonuses for players that use it and a lack of fees associated with it. You can deposit between $10 and $5,000 through this method, while withdrawals vary from $10 to $2,500. 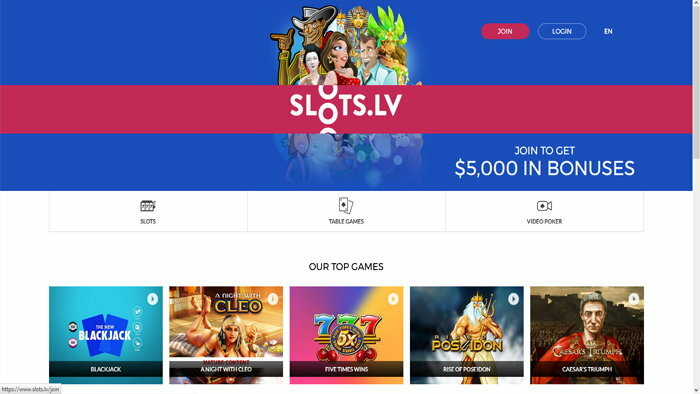 Slots.LV is a US friendly gaming establishment which has casino games from several reputable developers, featuring a larger number of titles than most. Their generous welcome bonuses are also excellent reasons to try them out.